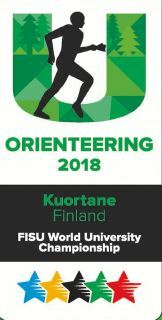 The Irish Orienteering Team competed in the World University Orienteering Championships over the past five days in Kuortane, Finland and in very warm conditions gained valuable international competition experience and put in some good performances. The competition took place over three distances of Sprint, Middle and Long. In the sprint distance over 4km, Team Ireland’s only male competitor Paul Pruzina (University of Cambridge) finished in 60th position over two minutes behind the winner Tim Robertson from New Zealand. In the women’s sprint race Niamh Corbett (University College Dublin) finished in the top half of the field in 38th place with a time of 15.36, Roisin Long (University College Dublin) finished in 71st, while Aoife McCanava (University College Dublin) did not finish this competition. In the middle-distance event over 6km, Paul Pruzina finished in 77th place of a field of 102 competitors. The Women’s middle-distance event over the 5.1km course saw a field of 89 start, with Aoife McCanava finishing in 61st, Roisin Long finishing in 62nd, and Niamh Corbett not finishing this event. The Men’s Long-Distance event over a course of 12.4km saw a field of 93 go to post and Paul Pruzina finished in the top half of the field with a 46th place finish in a time of one hour thirty-two minutes. The Women’s Long-Distance event over a course of 9.7km had a total field of 84 athletes Niamh Corbett put in her best performance of the week to finish in the top half of the field in 36th place in one hour and thirty-three minutes, Aoife McCanava was the next home in the green Irish singlet in 52nd place, with Roisin Long four positions further back in 56th place overall. Along with individual events over the five days the athletes get the chance to compete in a team relays. In the sprint relay 23 teams went to post and Ireland finished in 20th place overall. In the Men’s relay event Paul Pruzina joined up with Thomas Jurczyk from Poland and Michael Kondro from Canada to compete in the event, however they did not complete the course. The Women’s Relay saw Niamh Corbett, Aoife McCanava, and Roisin Long come home in 28th place from a field of 36 teams.